After completing Typhus, I was thrilled with how he turned out. I will admit, that I vainly couldn't stop looking at him. 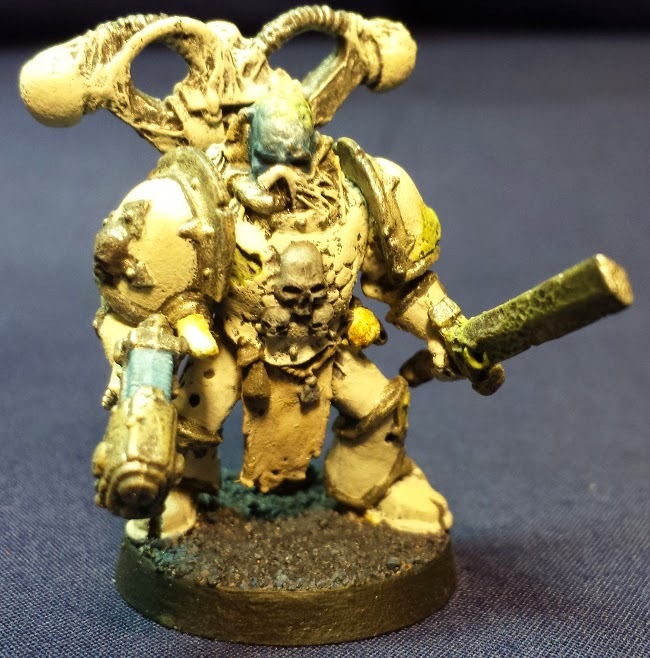 It was the paint scheme I had always wanted for my old death guard minis from high school. And Now I could make it happen! 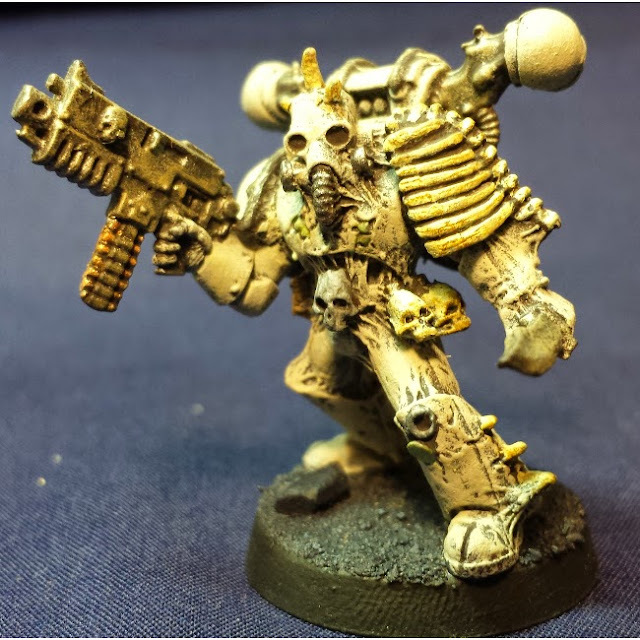 The next thing I went on to paint was my first Plague Marine Squads, a simple squad of five. The first mini I painted in the squad was the Aspiring Champion. In the past I had these fellows decked to the nines with equipment. This time I elected a Plasma Pistol and a Power Sword. The Death Guard have always liked their Plasma Weapons, so In this squad I also decided to upgrade one of the Marine's bolters with a plasma rifle. Gets Hot rule be damned! 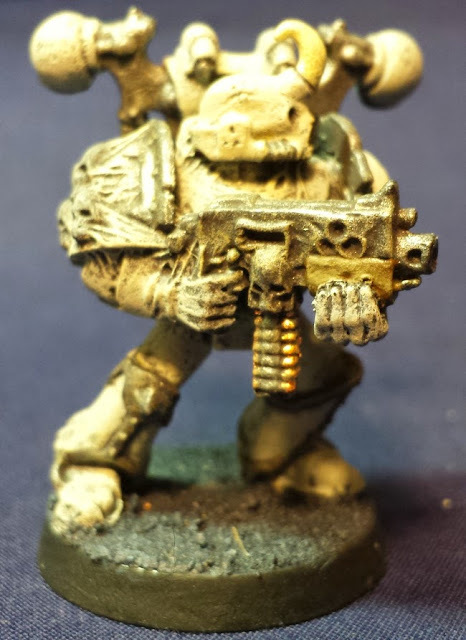 This one is probably my favourite Marine in the squad. 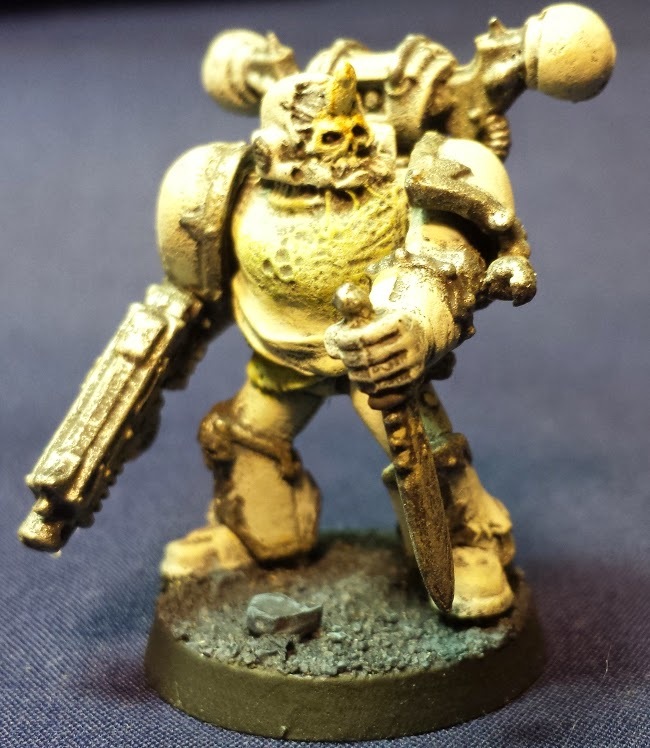 The helmet is so cool and hearkens back to the original Death Guard minis! And that rib cage left shoulder pad is about as cool as it gets. This fellow was originally the aspiring champion model in the old Death Guard Havoc Squads. 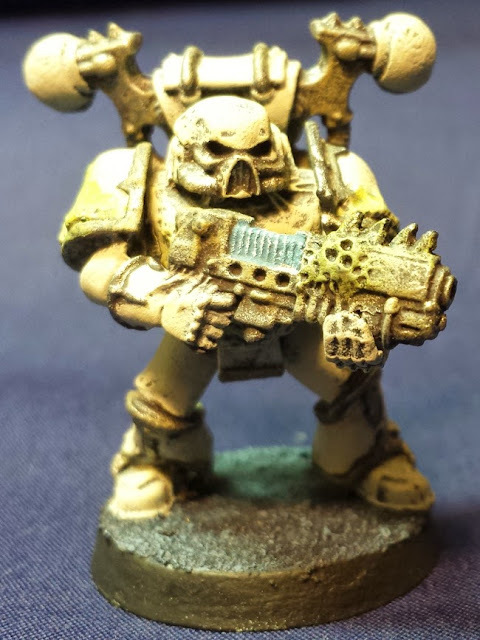 I personally never though the mini was notable enough to be called a champion, so I am glad I was able to re-purpose this guy and his two other compatriots as standard Plague Marines. And of course you have to have a standard Plague Marine just holding a bolter! In the two games I have played with this squad, My newly painted Plague Marines have served me well, and I hope they continue to do so in the future!